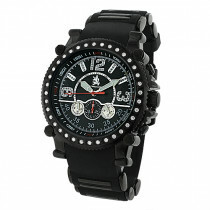 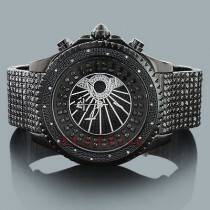 Affordable Diamond Mens Watches! 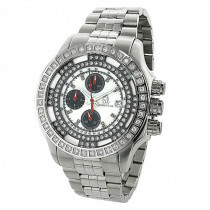 This Richard Co Diamond Watch features a brushed and polished silver tone stainless steel case and band with 0.25 carats of white diamonds set around the bezel. 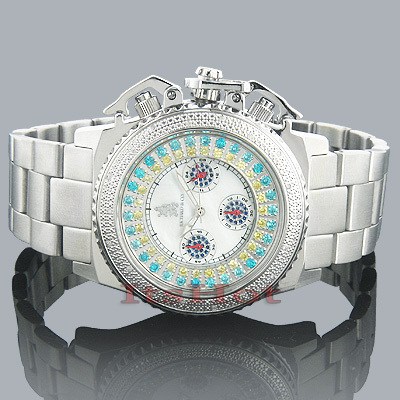 This diamond chronograph watch showcases a white mother of pearl face with hour, minute and 24 hours indicators, and is surrounded with yellow and blue sparkling stones. 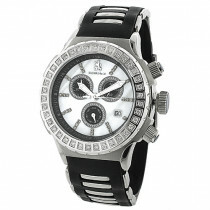 This men's diamond watch houses a fine Japan-made quartz movement, and is water-resistant up to 30 meters (110 ft).